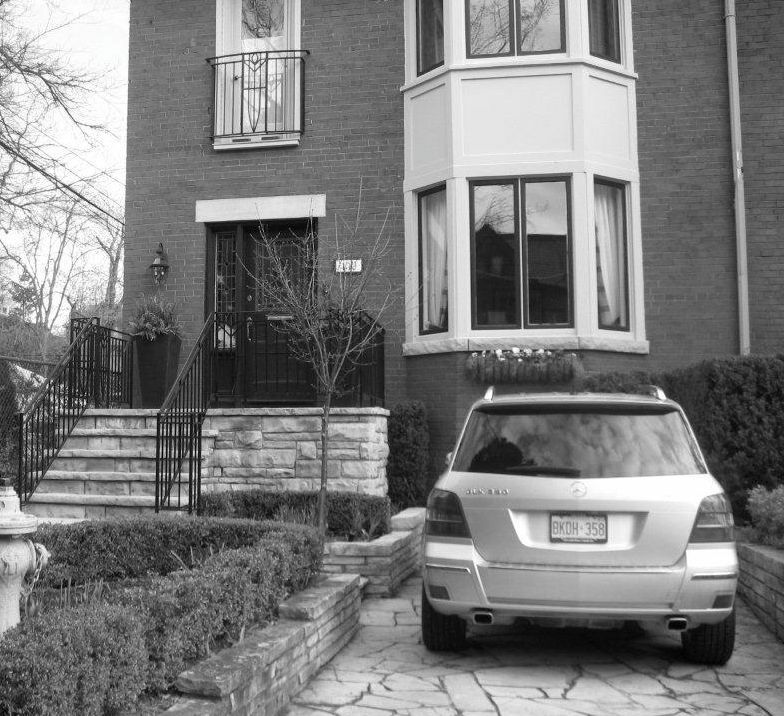 One of my very first projects in Toronto was to produce drawings for a small addition to the rear of this elegant Toronto home. I was introduced to the clients by designer Monique Le Ray. Monique and I went on to complete several projects together after this one. A few years later we were asked to come up with a new design for the front facade. A large sunroom was built over the entrance veranda and the owners did not make use of it. 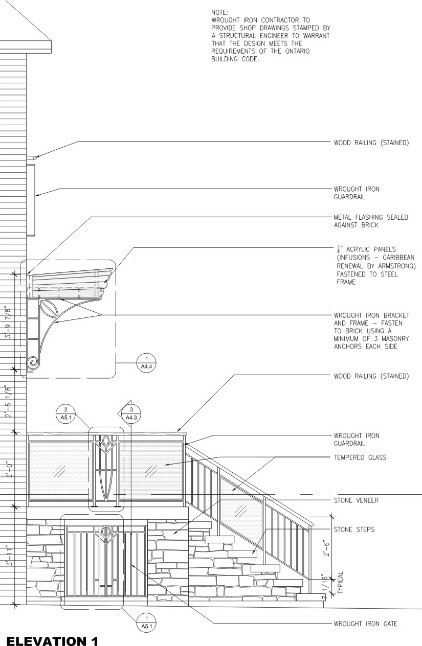 In the re-design we proposed removing the sunroom, building a new stone porch with wrought iron guardrails and a new Juliette balcony railing at the second floor. We did not know the condition of the brick behind the sunroom walls and so we were happily surprised once it was removed. The project completed successfully on time and on budget. Tasks included: Survey existing building, Produce as-built (CAD) drawings, Design and construction drawings, OBC review with BCIN certification, permit application and construction supervision. 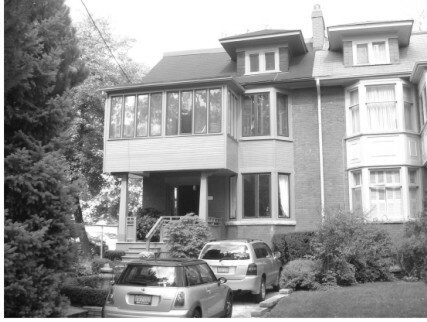 The house shown prior to the renovations, with an overhanging sunroom over the main entrance. 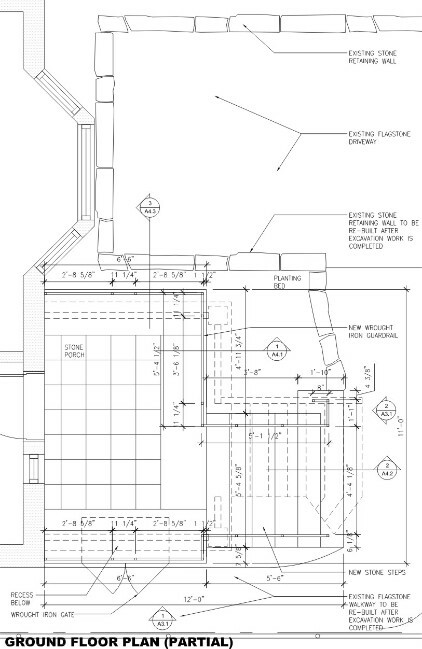 The CAD plan layout of the porch area. The CAD side elevation showing the new stone porch and wrought iron guardrail. 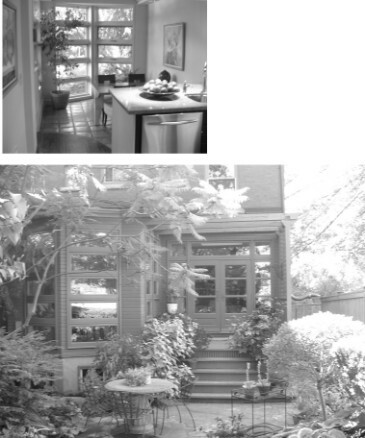 An interior and exterior view of the rear addition completed before.